Slimline pen made with gold plated hardware. 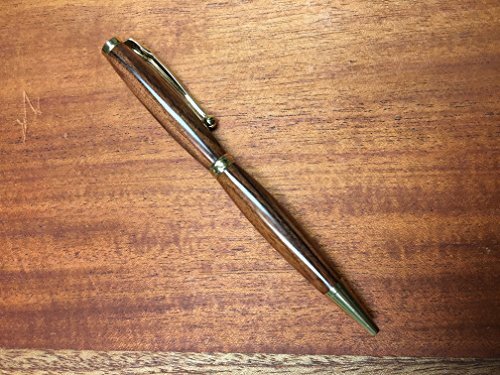 The wood is turned from Bolivian Rosewood. The character in each pen is unique.